On the sleeve of the original pressing by Gull Records (shown here), the tracklisting puts side B before side A. 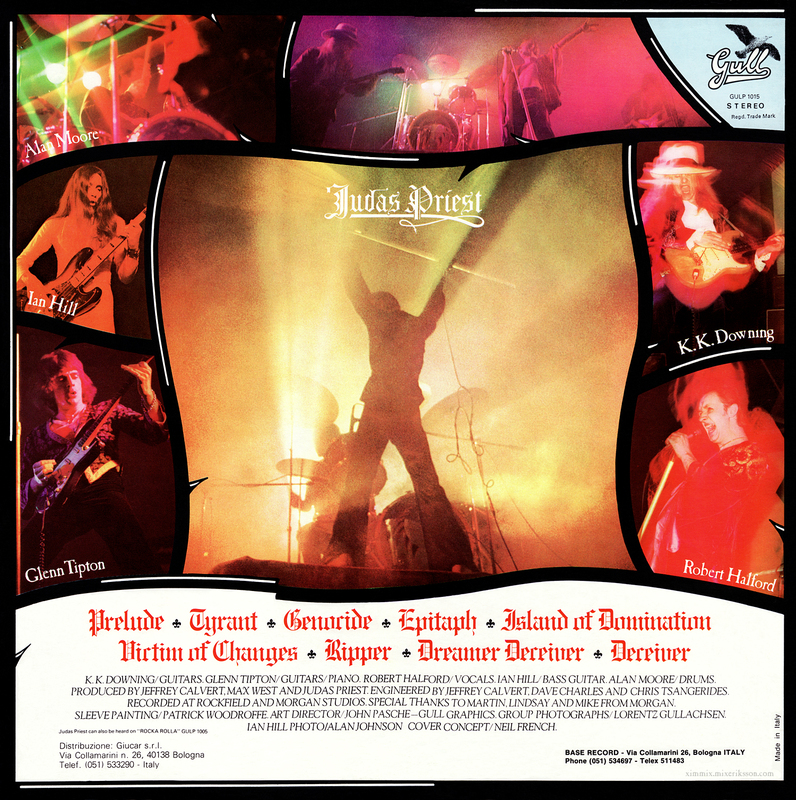 Tracks 1 and 3 by Al Atkins, Rob Halford, Glen Tipton and K.K. Downing. Recorded at Rockfield Studios, Wales, November/December, 1975.